These are the activities of our Chapter in education and training. Both the status of ongoing projects and the schedule for upcoming training opportunities are shown. See our Calendar for schedule of future events and opportunities for you to get involved. 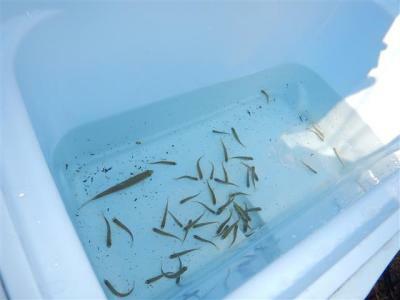 In schoolrooms scattered across the Midland area swim tiny Chinook salmon that will likely someday scatter across Lake Huron or beyond — after they graduate from the Salmon in the Classroom (SIC) program. 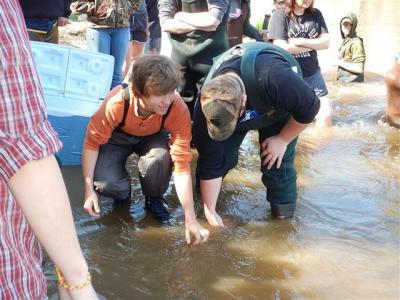 SIC, a DNR effort backed by local sponsors, gives school students close-up experience with resource issues while nurturing and tending salmon that they’ll release in an area river this spring. Just maybe, program officials say and students hope, those fish will return in two or three years to produce another generation of Chinook. In SIC, teachers are trained to guide students as they watch eggs hatch and fry grow, making sure water temperature and quality, and food, all remain in balance.Meanwhile, students learn about the history of salmon in Michigan, the niche they fill in the Great Lakes, and the issues facing those region-defining lakes. The Leon P. Martuch Chapter of Trout Unlimited is sponsoring SIC projects at The Midland Academy of Advanced and Creative Studies, Northeast Middle School, Bullock Creek Elementary School, St. Brigid School, Gladwin High School, Meridian Junior High School, Midland High School and Hemlock Middle School. 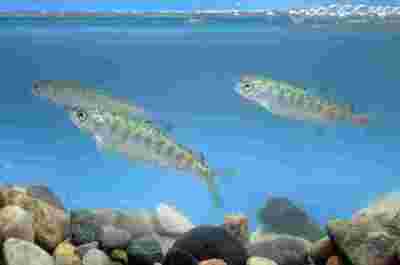 The Great Lakes Bay Region Steelheaders chapter of the Michigan Steelhead and Salmon Fisherman’s Association is sponsoring SIC at Pine River Elementary School in Midland and Lincoln Elementary in Bay City, according to a recent newsletter. Whatever the teacher’s experience, for each class taking over a batch of eggs, it’s brand-new, even if they’ve been waiting their turn after watching other classes run things in other years. Sometimes, a lesson is just how complex the factors are that determine fish survival. ar. Water chemistry and temperature, the sweet spot between too warm and too cold, too little food and too much, and other science and biology issues are at the heart of SIC. 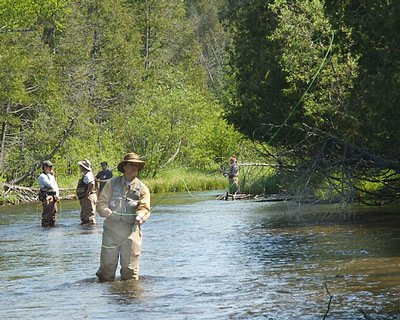 The school will run June 8-9, 2019.This is a great way to get into fly fishing or improve your fly fishing skills. There are 3 levels of instruction.